A robot cake that serves itself? All the robots pictured were completely edible (minus a few pipes and cardboards for support here and there)! The robot with the long, clawed arm (named SUGV) had an extra bit of custom engineering to motorize it’s movement. FUN! Check out the full gallery below to see how the robots were made and consumed! A very special thanks to the people at iRobot for making this awesome cake possible! 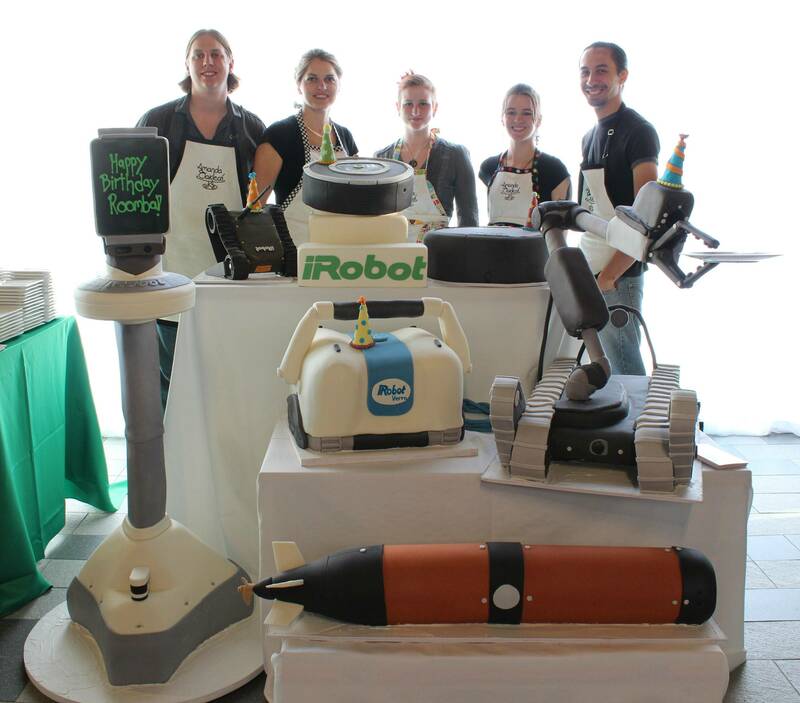 Servings: The cake fed 500 hungry iRobot employees! Size: The entire display of tasty robots was approximately 8′ long by 5′ wide, and 5′ high. I bow to your awesomeness. Have taken 2 classes and look forward to many more. What a talented group of fun people.